Nice prize and pretty shop. Be sure to look outside. Upstairs is a freebie souvenir bunny sculpture. New group lucky board at Rui for some cute sandals and fans. Boards change every 5 mins with wildcards. Goodluck. 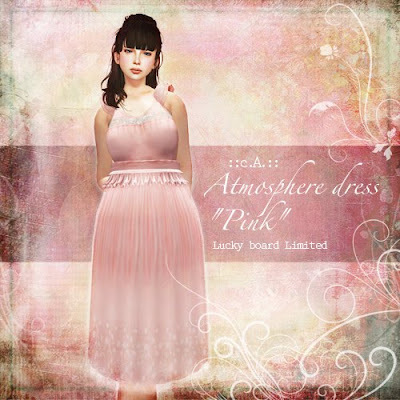 New lucky board for a cute dress from NekoKan. Board changes every 5 mins with wildcards. Goodluck. 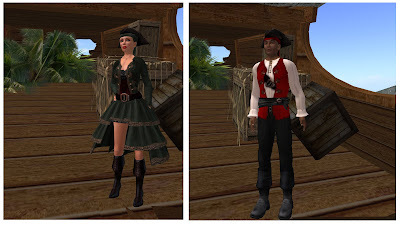 Yesterday's Lost & Found folder SNAFU (Web) made me look in the basic Inventory today and, yes!, there are new avies in the Clothing > Initial Outfits folder. Looks like male and female versions in several styles: Average, Dancer, Explorer (very Lara Croft, but don't tell the copyright people at The Lab), Future Punk, Gladiator, Pirate (pictured above), and Steampunk. There is a Male Sport Avatar, too, but not a female version. New pretty nice gothic themed dress in the Pinkmare's House board. Other goodies and MMs available too. Board changes every 10 mins with wildcards. Goodluck. New lucky board with 4 different types of noms to be cycled through. Board changes every 3 mins with wildcards. Goodluck. New group lucky board prize from M*Motion for a interesting swimsuit. Board changes every 5 mins with wildcards. Goodluck. Group lucky board at Milky Way for a black ballerina themed outfit. Board changes every 10 mins with wildcards. Goodluck. 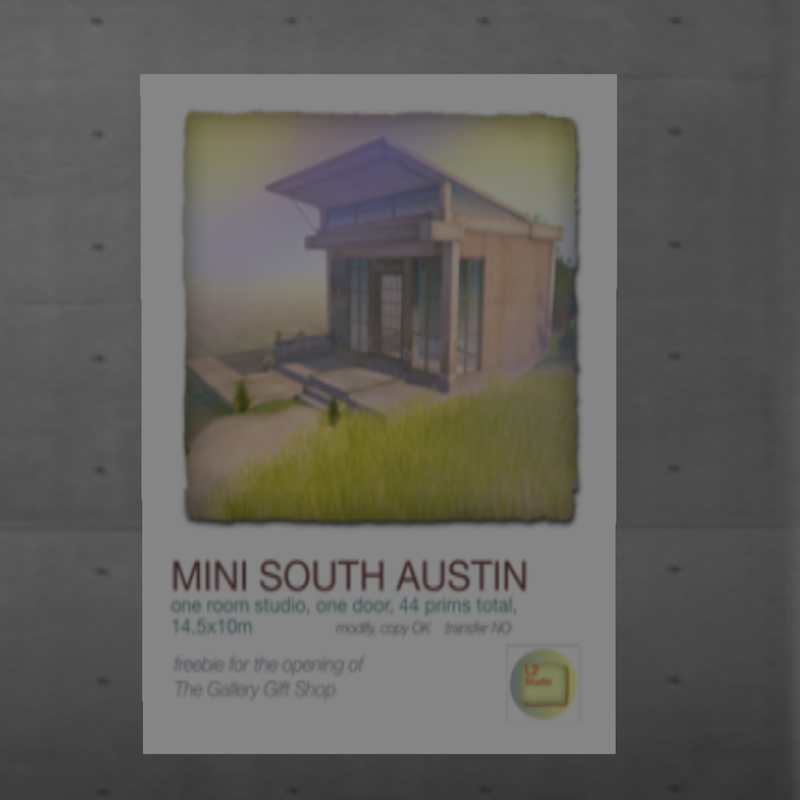 New prizes in the lucky chairs at Love Soul. They change every 5 mins. Goodluck. New lucky board for a pretty neat (I love the gag XD) female skin in their boards. They change every 10 mins with wildcards. Goodluck. Cute one-piece dress in the lucky board at Neuveux. Board changes every 10 mins with wildcards. Goodluck. Lucky board at BBQQ for a cute koi vase or spitoon. XD Board changes every 5 mins with wildcards. Goodluck. If you haven't checked out this place make sure to! It's done by my awesome friend Moeka from back in 2007 (lol when I first went) and was gone for awhile. But it's back for a limited time. It's got really sneaky ghosts that fade in and out freebies and it's just a great adventure. New lucky board for beer goodies at Poche. Note, drink responsibly in SL and don't drink and drive. XD Board changes every 3 mins with wildcards. Goodluck. New group lucky board at c.A. for a cute pink dress. Board changes every 5 mins with wildcards. Goodluck. New lucky board at AB for some cute food gifts. They're trans and so cute. Boards change every 5 mins with wildcards. Goodluck. Lucky chairs at Delirium Style for various grunge guy and girl clothes. Really like the jeans for the girls. Thank you Pinky*Gals for the gift! ^^ Please remember the Kimono lucky boards are only available until July 27th! Please check them out soon, they are very lovely. Lucky board for a cute sailor uniform (you may recognize it) at Angel's Kitten. Board changes every 15 mins with wildcards. Goodluck. 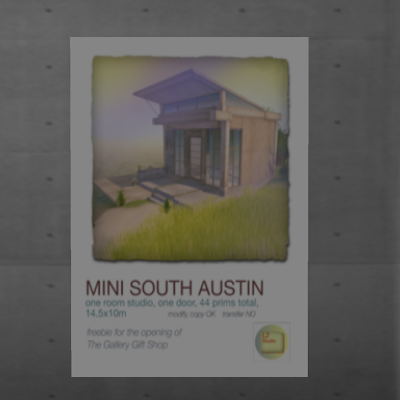 New prize in the lucky board at AF Designs. Board changes every 5 mins with wildcards. Goodluck. Lucky board at BE for a really pretty kimono. Board changes every 10 mins. Goodluck. 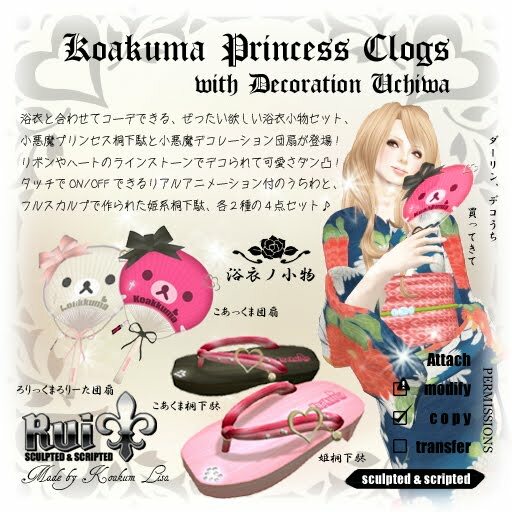 3 New group lucky boards from Pinky*Gals for some cute stylish kimonos. Boards change every 30 mins with wildcards. Goodluck. New lucky board for a black version of the kitsune skin. Costs to join the group but really nice skin. Board changes every 10 mins with wildcards. Goodluck. Join the Kimono Uzuki group and new boards are able to be won. Boards change every 5 mins with wildcards. Goodluck. New lucky board at Poteto for this little kitty in 5 ways. There's 5 different sized and attaching kitties to win and transfer. Board changes every 5 mins with wildcards. Goodluck. Lucky boards for kimonos at CI. Boards change every 10 mins with wildcards. Goodluck. Lucky board at FKJK for a cute little elephant themed charm. Board changes every 10 mins with wildcards and the prize is trans. Goodluck.